The heavy equipment maker announced more than 22,000 job cuts last month as it scales back production amid the economic slowdown. 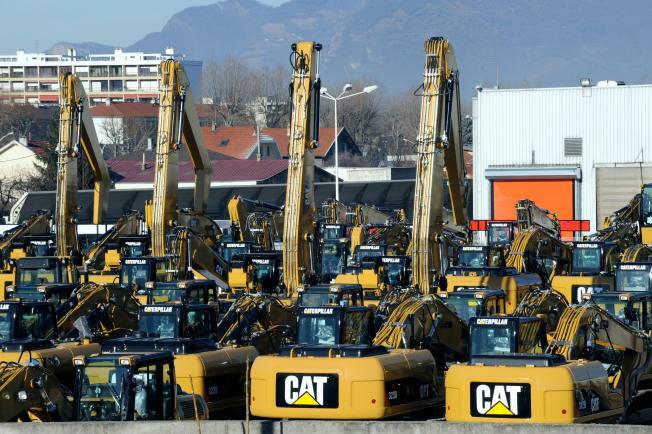 SPRINGFIELD, Va. — President Barack Obama said Wednesday that heavy-equipment maker Caterpillar has informed him it will rehire some of the thousands of workers it has laid off in recent weeks if Congress passes an economic stimulus bill. "The time for talk has passed," Obama said. The president's travel to pitch the urgency of the stimulus plan was his third day in a row to leave Washington. On Thursday, he goes to Peoria, Ill., to visit a Caterpillar manufacturing plant. The world's largest maker of mining and construction machinery announced more than 22,000 job cuts last month amid waning demand for its products. But Obama said the company told him Wednesday it would hire back some of those workers if the legislation passes. As House and Senate negotiators worked to reconcile differences between competing versions of the legislation, Obama spoke during a visit to a highway construction site in Springfield, Va., just outside of Washington. "You don't need to travel very far from that debate to see why this plan is both urgent and essential for our recovery," he said. With bulldozers visible behind him, Obama aimed — as he has all week — to build momentum by demonstrating real-world consequences of both the economic downturn and provisions in the bill aimed at helping create jobs and rejuvenate the economy. As an example of a shovel-ready project that could get a jump-start from the bill, Obama cited an unfinished stretch of the Fairfax County Parkway connector. It serves the new east campus of National Geospatial Agency and is seen as key to easing horrible traffic congestion. The project's initial phases are under way but more money is needed to finish it. "We're surrounded by unmet needs and unfinished business — in our schools and in our schools and our roads, in the systems we employ to treat the sick, in the energy we use to power our homes," Obama said. "And that's the core of my plan, putting people to work doing the work that America needs done." Obama also traveled to Indiana and Florida this week to pitch the stimulus plan. "So much depends on what we do at this moment," the president said. "It's not just about the future of my administration. It's about the future of our economy and our country."